My goal was to read 50 books in 2009. I was about twelve books short in December, so I started to scarf down graphic novels. I can knock those out in a day or two usually. I don’t care what anyone says; they count towards my total. My final for the year was 44 books (about 6 graphic novels). I’ll do better this year. I promise. 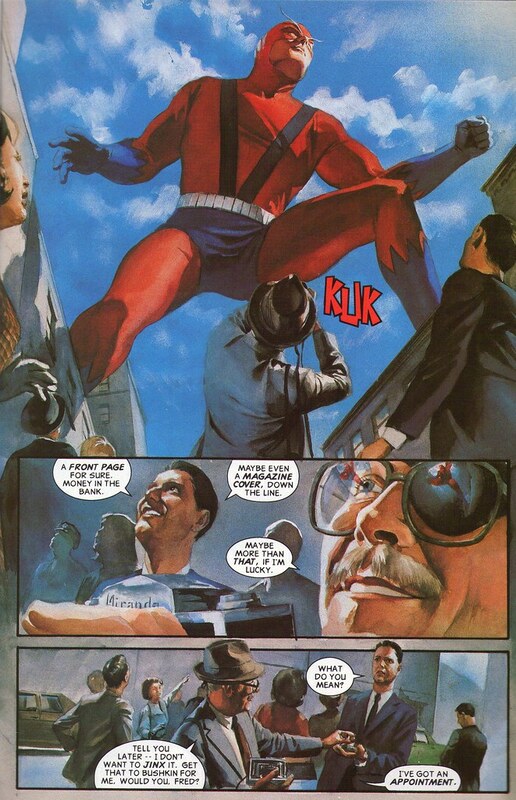 In that last desperate sprint of reading, I read Marvels written by Kurt Busiek and painted by Alex Ross. I was too cool to be seen reading comics in 1994. My loss. This is a phenomenal series, and one of the most original concepts in comics I’ve seen. 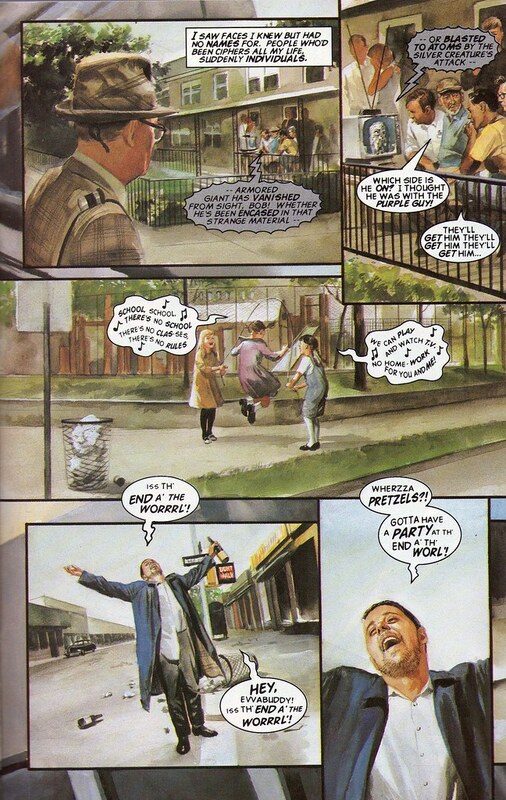 The series covers some of Marvels classic stories, but the events are told from the street-level perspective of a common man- photojournalist Phil Sheldon. It examines how real people might act and feel in a world full of superheroes. 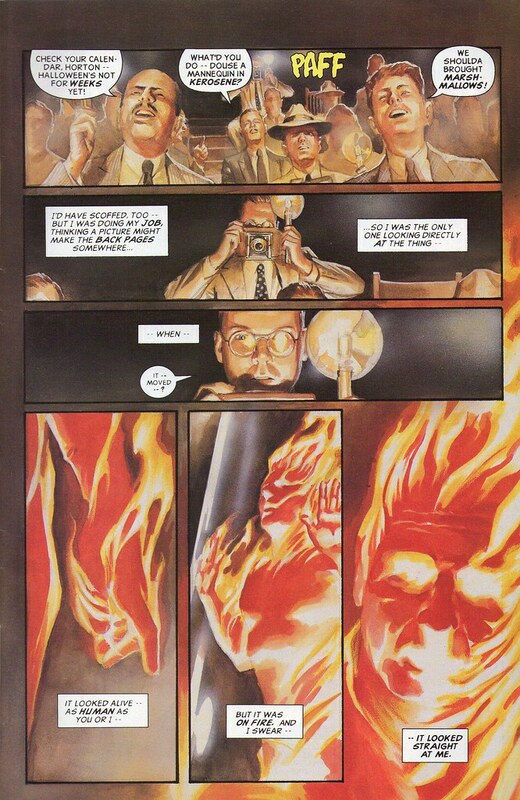 Busiek’s writing captures some pretty interesting themes. The philosophical and theological implications the series brings up are interesting. When the masses need saving, they love the marvels like idols. When the masses are bored, they fall into celebrity worship and consumerism. When the masses feel small in comparison to the marvels, the masses want them dead. What’s also interesting is that the marvels continue to “save” the masses, even though they know how fickle the masses’ devotion is. 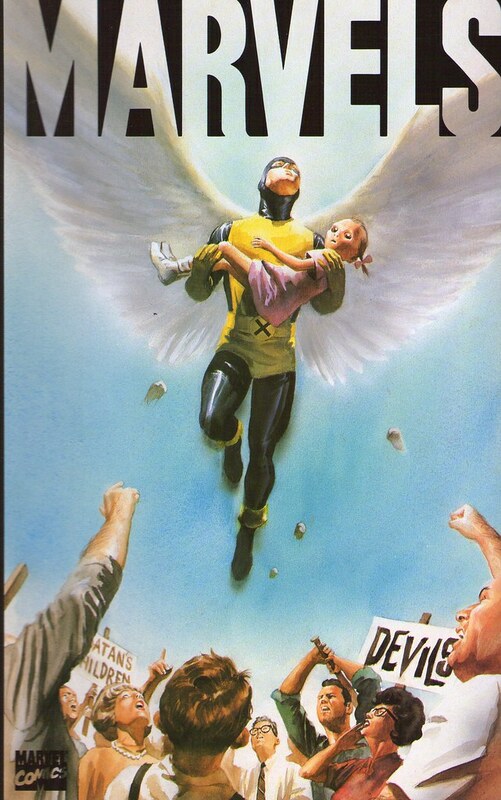 Alex Ross’s artwork is exceptional. The series covers the 1940s to the 1970s, and Ross captures each time period perfectly. His street-level views are cinematic and completely original. The story combined with the art puts this one near the top of my graphic novels list.